A blank canvas for a wealth of flavours, cheesecake is a dessert that can be infinitely experimented with. 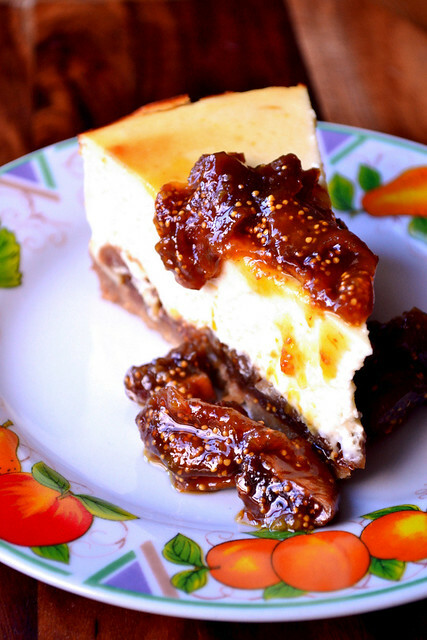 Fig and Orange Cheesecake sounds as though it should already be a stone cold classic, but it’s not a recipe I’ve come across before. 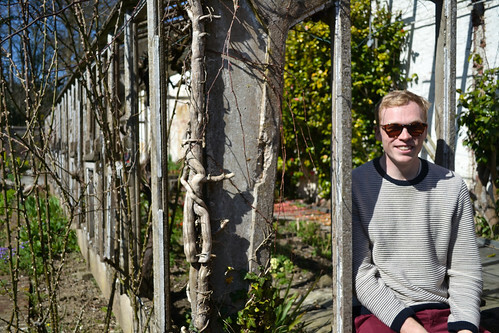 Rest assured, it’ll be a regular feature in our home from here on in. While I bear no animosity towards more common cheesecake flavours – blackberry, strawberry and cherry – it is the more interesting varieties that hold my attention. It is a pudding that lends itself well to impulsive acts of culinary creativity. Don’t let yourself be held back. 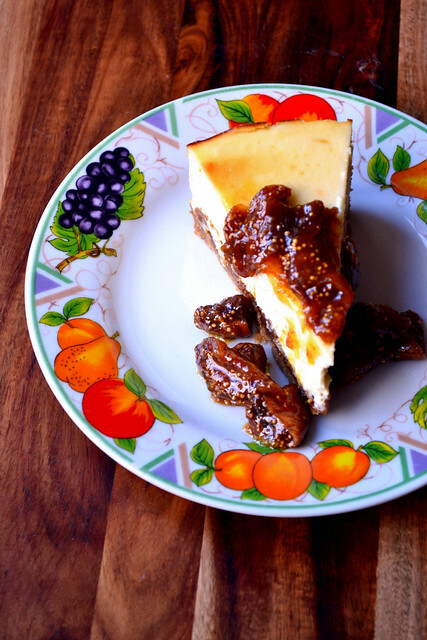 Featured here last year, my recipe for dried figs in honey provided the background inspiration for the fig and orange cheesecake recipe you’ll find below. The silkiness of creamy cheese, contrasted with the firmer texture of gently cooked dried figs makes for a compelling combination. Supplement the combination with the obligatory buttery biscuit base and there’s not a lot that I’d rather eat. Dessert doesn’t get better than this. Bash the biscuits until they resemble fine crumbs. Melt the butter in a saucepan and combine with the biscuit and sugar. Grease a 23cm springform pan, lining its base with greaseproof paper. Press the biscuit mixture firmly into the pan and pop in the fridge. Preheat the oven to 220C/200C(fan). In a saucepan heat together 200g of the figs, ¾ of the orange juice and 1 tbsp of honey. Cook for 2 minutes, until the liquid has been absorbed and the figs are soft. Set aside. In a large mixing bowl beat together the cream cheese and sugar until thoroughly combined. Using an electric mixture, incorporate the eggs one at a time, followed by the flour, zest and sour cream. The mixture should be light and creamy. Tip the prepared figs on to the top of the biscuit base, but not quite to the edges. Cover with the cheesecake filling, level and place in the oven. After 10 minutes reduce the temperature of the oven to 110C/90C(fan) and cook for a further 25 minutes. The cheesecake should have a slight wobble at its centre. Cool the cheesecake in the oven before covering and transferring to the fridge overnight. It may crack a little during the cooling process. Cook down the remaining figs with the leftover orange juice and 1 tbsp of honey. Spoon over the cheesecake and enjoy. Cost: Using an inexpensive cheese like cream cheese means that keeping the cost of this cheesecake down wasn’t a difficult feat to achieve. 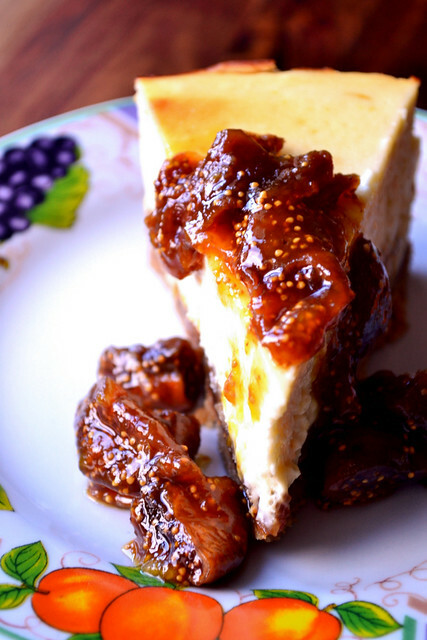 Even dried figs can be bought cheaply; the amount used in the cheesecake cost little over £1. All ingredients accounted for, you should be able to reproduce the Fig and Orange Cheesecake for as little as £4.80. Not bad for a luxury pudding, big enough for 10; 48p a slice! It has to be full fat, or you’ll end up with slop! I have experimented before. My mouth is watering… I’ve never seen a fig/orange combination, but it sounds delicious! And on top of a creamy cheesecake?!! YUM! They work very well together. Thank you! I love the look and sound of this – decadent yet packed full of things that are good for us! Oh cheesecake, I love you so much! I’ll try this with the seville oranges I have just picked!! Fantastic – what excellent ingredients. What a unique combination for cheesecake! Bookmarked. Yes, but it worked very well. I hope you give it a go :). 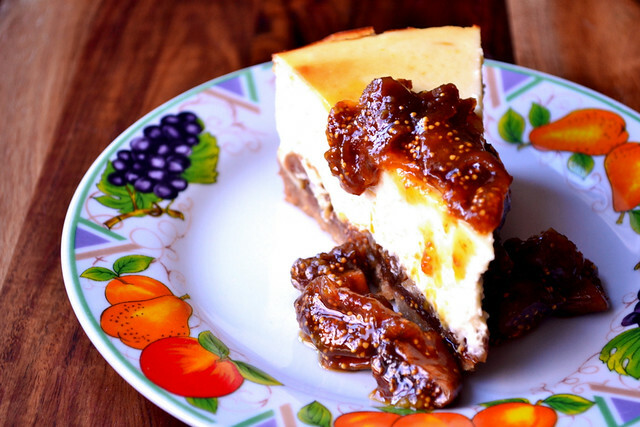 Cheesecake is my absolute favorite dessert and I love how you incorporated different flavors of orange and fig with it. I definitely want to try making this! Thank you – it felt like I needed to try a new cheesecake recipe.